When historians write of Stockholm’s industrialization, they are quick to mention that compared to places like England, Sweden’s industrialization occurred slowly and quite late. However, historians are usually referring to the adoption of mechanical operations and not to a more general upswing of manufacturing and systematized labor. While mechanized industry did not take off in Sweden until the mid-1800’s, the political environment in the mid-1700’s provided the opportunity for manufacturing to become more organized and centralized. 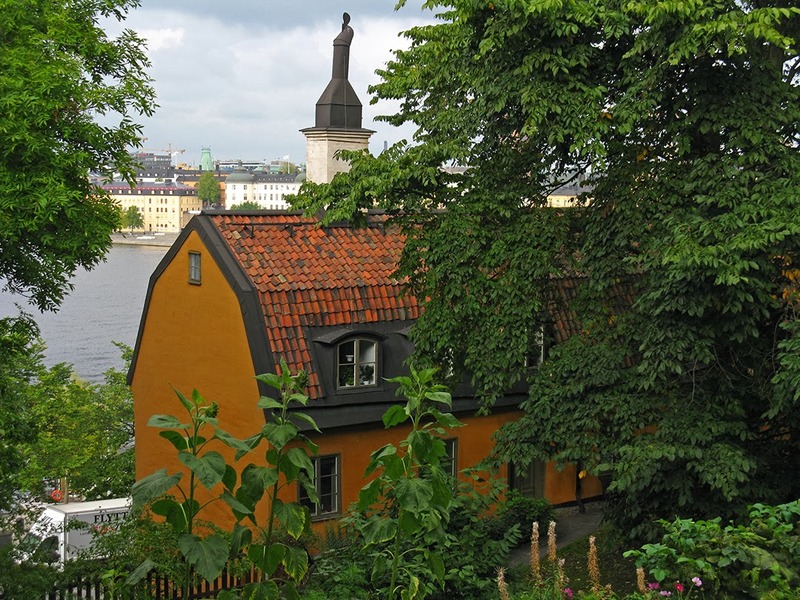 The centralization process made a visible change to Stockholm’s landscape, and the trends that were cemented in the 1700’s directly effect planning and building activity in Stockholm today. As I have mentioned before, Sweden lost its empire at the end of the 1600’s and beginning of the 1700’s. Decades of war weakened Sweden’s economy, and a severe lack of raw materials and workers needed for manufacturing meant that very little was produced during the wars or during the following decades. When the crown stopped ordering copious quantities of uniforms and weaponry after the wars, the textile and weaponry industries all but collapsed. Sweden was forced to import just about everything from the continent. During the wars, the government tried to combat shortages through a reduction of import taxes while the government’s low coffers were supplemented with new taxes on manufactured goods and an end to financial support of manufacturers. Business leaders of the day decried the flow of money from Sweden to the continent and they blamed the collapsed economy on the “anti-Swedish-production” measures introduced during the war. Business leaders fought to introduce a the new theory of “Mercantilism” and it became law in 1726. Mercantilism’s ideal was that Sweden would be able to provide everything for itself and therefore involved quite restrictive measures. The import of any good that could possibly be produced in Sweden was forbidden. For example, silk fibers were legal to import but not silk thread because the thread-spinning process could be done in Stockholm. Import taxes on goods which could not be produced in Sweden were raised to prohibitive levels. Ships were not allowed to bring in any good that did not originate in the ship’s home country. For example, Dutch ships were not allowed to import Chinese porcelain. In an effort to control smuggling, small concerns were forbidden from selling any imported good, and large wholesalers were given monopolies on imported goods. To minimize the market for import goods, each class was assigned appropriate articles of clothing, and people were not allowed to dress outside of the regulations. Nobles were forbidden from wearing imported clothing on holidays because imported clothing was unpatriotic. Similar regulations applied to the home, and people were not allowed to decorate their homes with unapproved or un-Swedish goods. In addition to strict commercial regulations, the government provided several types of financial support to manufacturers. First, the government provided jails, poorhouses, and orphanages, but the inhabitants of such institutions were forced to work (for free) for private manufacturing concerns. Secondly, the government encouraged and subsidized the immigration of skilled workers and craftsmen from the continent to Stockholm. Thirdly, the government subsidized the purchase of raw goods to manufacturers, but only in Stockholm. Finally and perhaps most importantly, the state provided a Manufacturers’ Fund which directly subsidized manufacturing houses in Stockholm. Needless to say, mercantilism was not a popular concept among small businessmen or common folk. The policy strengthened the economic position of a chosen few at the expense of the greater population. However, in rhetoric not unlike that of post-9/11 in the US, dissidents were countered with cries that they were unpatriotic and that to support Mercantilism was to support Sweden. Large wholesalers and manufacturers were given the stamp of patriotism while small businessmen were relegated to a near-traitor status. On the surface, Mercantilism did succeed for a short while, and Stockholm’s economy boomed. The 1720 population of 45,000 quickly expanded to 75,000 by 1780. 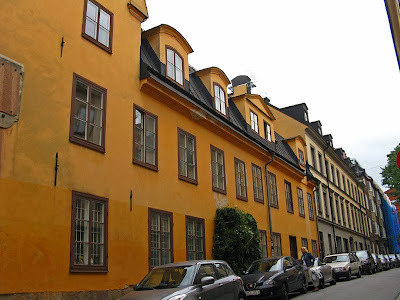 Fourteen percent of Stockholm’s inhabitants worked for manufacturers in the 1750’s. In 1760, there were 463 factories of various size in Stockholm, 32 of which were silk weaving houses. In 1764, there were 99 breweries. 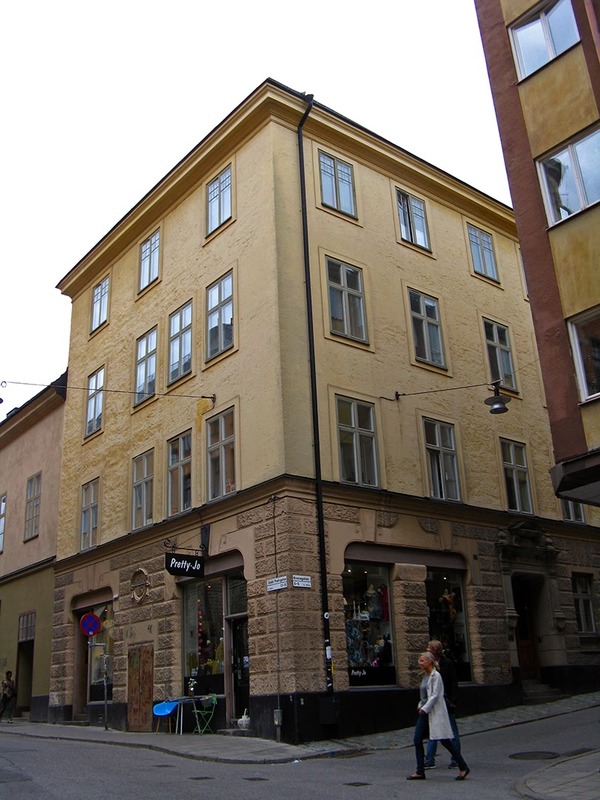 In addition to silk production and beer brewing, Stockholm’s vigorous industrial activity also included the spinning of all types of yarn; the dying of all types of textiles; the weaving and bleaching of linen; the weaving, bleaching, and printing of cotton fabrics; the weaving of wool textiles; the cutting of fabrics; the sewing of ready-to-wear clothing; the tanning of leather; the manufacturing and painting of porcelain goods and tile stoves; the smelting and manufacturing of brass goods; the foundry of iron; the production of ink; the rendering of seal blubber; the production of glass; the manufacture of brick; the manufacturing of paper and paper goods; the drying and processing of tobacco; the manufacturing of tobacco pipes; the distilling of spirits; the production of pitch; the twisting of ropes; the building of ships; the refining of sugar; the milling of grain; the production of salt; the milling of grains to organic oils; the refining of oils; and the milling of timber products. While Mercantilism was a successful policy on the surface, the success of Stockholm’s manufacturing was precarious as it depended entirely on government policies and financial support. Parliament’s will to support a few businessmen at the expense of the general population was limited, and following the financial crisis of 1766, Parliament began to deregulate imports and manufacturing. The deregulation process continued well into the 1800’s as free trade reined over more and more goods and processes. As Stockholm lost many of its manufacturing monopolies, the city’s industries went into a long decline, losing, for example, much of the shipping business to Göteborg. At the end of the 1700’s, mechanized production made its way into Sweden and manufacturers left the capitol for the countryside in order to take advantage of water power. Stockholm’s industry went into further decline as, for example, much of the wool weaving industry moved to the waterfalls of Norrköping. Following the loss of much of its industrial activity, Stockholm experienced an economic and population stagnation throughout the first half of the 1800’s. 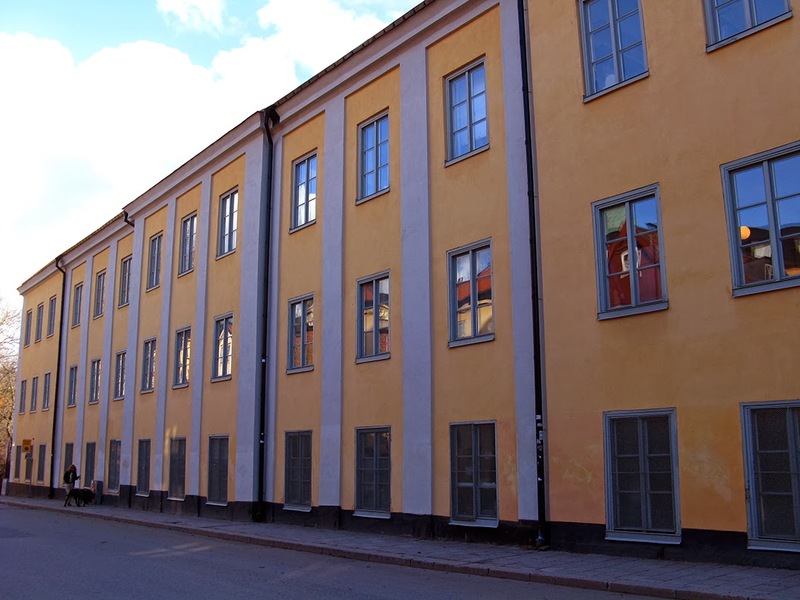 Although something like 80% of Stockholm’s industrial production of the 1700’s took place in the home, manufacturing during this period created a visible change in Stockholm’s landscape. Throughout the century, industry began to move out of the home to centralized locations. Taking advantage of resources and cheap land, manufacturing houses tended to congregate along the least settled of Stockholm’s waterways. Concentrations of manufacturing occurred on the edges of Klara Lake (Canal) and along the southern shore of Kungsholmen, most notably the tanning and porcelain industries. Traditionally the worker’s realm, Södermalm also attracted large concentrations of industrial activity, particularly in Katarina Parish and along the water. Across the canal from Södermalm, quite a lot of industry gathered in the Hammarby and Liljeholmen areas. Södermalm’s, Hammarby’s, and Liljeholmen’s industry tended to involve textiles. 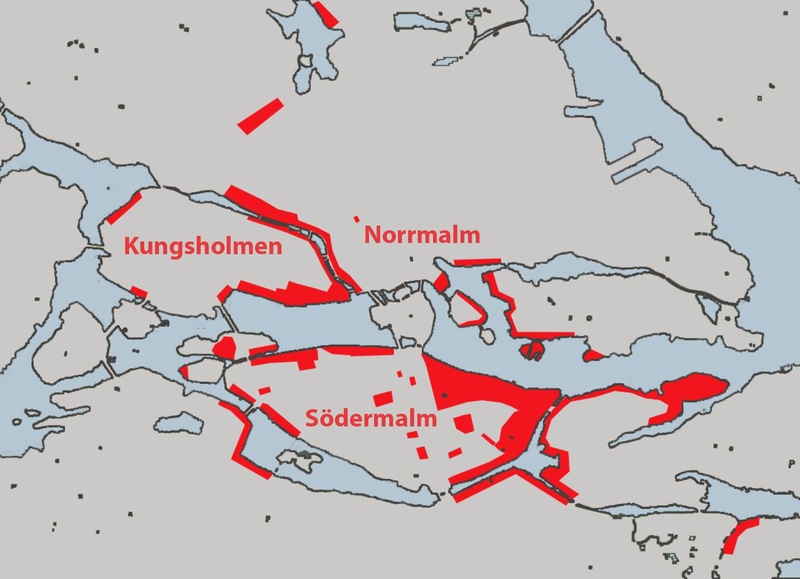 Concentrated on the saltwater side of the city, shipbuilding and its many attendant industries lined the water’s edge on Skeppsholmen, Djurgården, Östermalm (then Ladugårdslandet), and along the saltwater sides of Södermalm and Nacka. 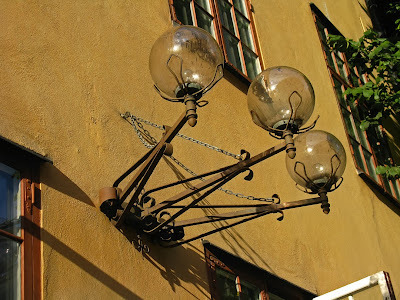 It is on Södermalm that the industrialism of the 1700’s is most evident today. 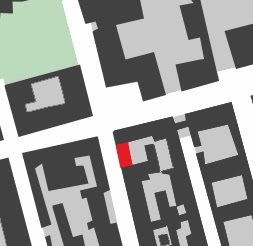 Because Södermalm was traditionally the worker’s habitat, it was unfashionable to live there and large tracts of the island were never redeveloped in the 18- or 1900’s. 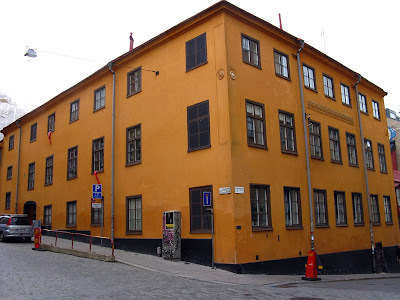 To my knowledge, Stockholm’s only surviving industrial buildings from the 1700’s are on the island of Södermalm (except for a prison spinning house which I will cover in a post on Långholmen sometime soon). Several large areas of worker’s housing are also intact on the island, and I will discuss these areas further in my next post. I believe that the surviving industrial buildings give a representative taste of manufacturing activity in Stockholm during the 18th century. 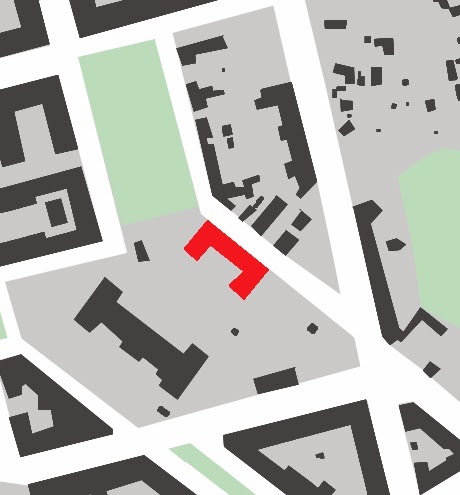 A couple of the buildings and complexes are large and extensive, but many of them are quite small and domestic in scale. Several of them sat on urban blocks in urban settings while others sat amidst farm fields. Although only one of the ten buildings/complexes have a known architect, architectural ambitions span from ordered classical buildings to simple vernacular structures. 1) Malongen spinning and weaving factory, 1660’s. Architect unknown. Malongen is Stockholm’s only 17th or 18th century industrial building that looks like an industrial building in scale and in style. Interestingly, the factory was founded by a Scotsman, and one can assume that he brought the theories and methods of large-scale British textile production with him to Sweden. The factory was indeed huge with over 1200 employees and 55 looms. Like all other industrial activity at the time, Malongen’s success was entirely due to a nearly limitless supply of ultra-cheap labor. In this case, the workers were “beggar children” who received no wages but worked in exchange for meals and lodging. Today Malongen is the premises for a coveted artist-in-residence program. 2) Öhman’s silk weaving factory, early 1700’s. Architect unknown. I haven’t found much information on this architecturally simple workshop other than when it was built, who owned it, and what they produced. The factory is integrated into the urban fabric of Södermalm in the middle of Katarina Parish, Stockholm’s poorest neighborhood. Due to the abundance of cheap labor, there were nearly 100 textile workshops in this area alone. 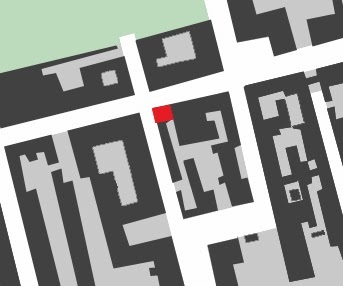 Today the building seems to be divided into (expensive) apartments. 3) Malmgårdsvägen, various schnapps distilling and textile weaving operations, built throughout the 1700’s. Architect unknown. Malmgårdsvägen is an entire street that retains its 18th century industrial character. All of the buildings along the east side of the street date back to the 1700’s, and nearly all were used for industrial purposes. These buildings give a sense of how small scale most industrial operations were in Stockholm at that time. Some of the buildings are grander than others, but they all have more of a domestic than an industrial character. In a sense, the domesticity of these buildings does not lie since most workers lived in the factory buildings where they worked. 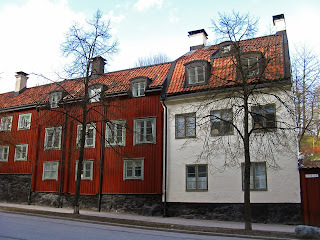 Malmgårdsvägen’s street façade is quite urban with buildings marching one after the other, close upon the sidewalk, creating a closed, continuous wall. However, the land just behind the industrial buildings was composed of farm fields, and a warren of small, simple wooden buildings behind the more impressive factory buildings housed farm functions such as barns and hay storage. It is interesting that industrial activity wasn’t always completely separated from domestic and farming land uses as it is today. 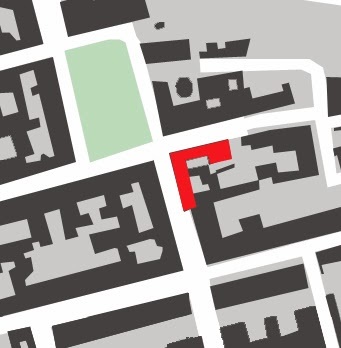 The buildings on Malmgårdsvägen are now coveted rental apartments owned by the city. 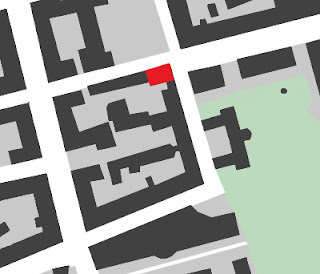 4) Worker’s housing, before 1730. Architect unknown. This building housed workers for the factory next door. 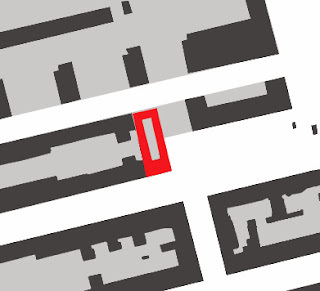 The original factory premises no longer exist, but they were replaced in the 1850’s. It is unknown what the original type of industrial activity was, but later activities included precision tool making, the fabrication of sheet metal, and the making of photographic plates. Today this building consists of expensive apartments. 5) Silk Weaving, 1750’s. Architect unknown. The front and back facades of the building. The back building is about two stories uphill from the front facade, hence the lower facade in the back. This large complex was built by a furrier but a silk weaving workshop quickly replaced the fur trading activities. When silk weaving was no longer profitable after the fall of mercantilism in the 1780’s, the city bought the building and turned it into a debtor’s prison. This building is particularly interesting because the interior courtyard is open to the public. 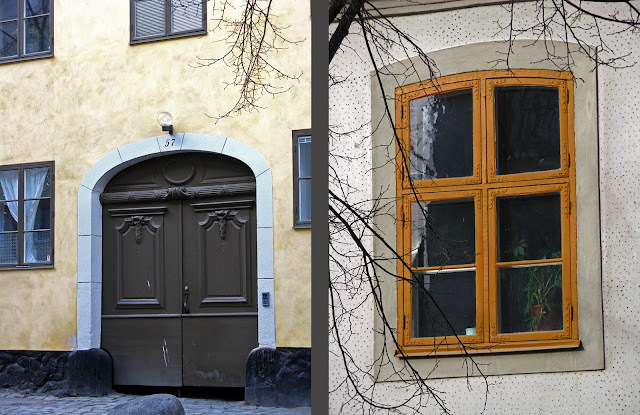 Most of Stockholm’s 18th century buildings have a large door at street level, but these doors are more like today’s single-family garage doors than an entry door. Horses and carriages typically passed under the main building and through to a courtyard, maximizing the use of valuable street-side real estate and relegating secondary functions such as stables and carriage houses to the interior of the lot. The main entry into the building was often from the courtyard and not from the street. Today, however, these “garage” entries are closed off to the public, and the passer-by rarely get a peek inside. The hall leading through/under the main building and the courtyard beyond. A bar and restaurant occupy the courtyard and the interior areas around the courtyard, and I believe that the upper floors are apartments. I love love love this lighting fixture! 6) Barnängen Clothing Factory, production began 1691, original log-cabin buildings replaced in the 1760’s by architect Elias Kessler. The park side and the water side of the head office building. 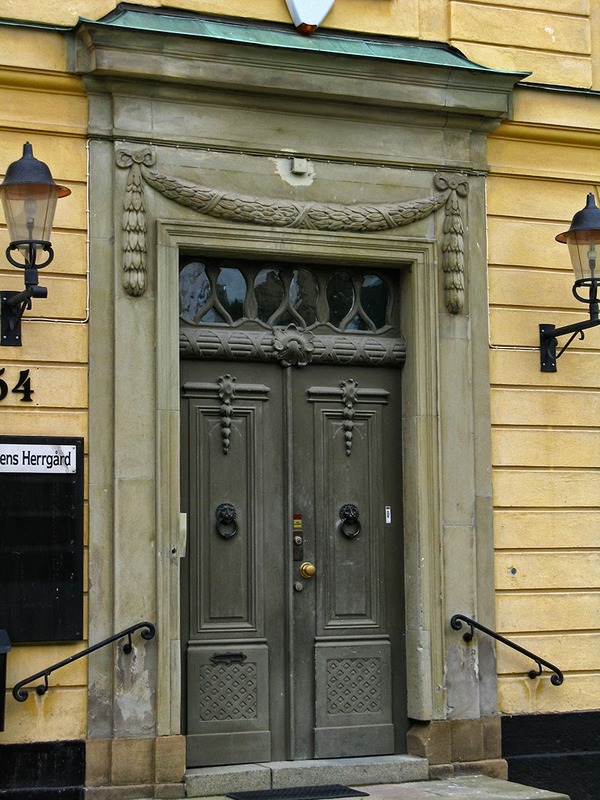 The main office building's entry door. Barnängen is Stockholm’s best preserved industrial environment from the 1700’s. 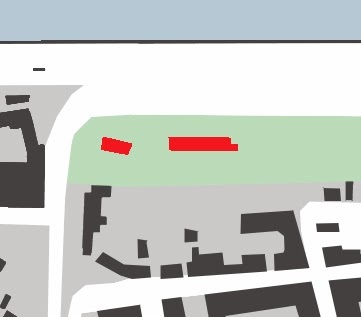 However, the harbor that used to be at the end of the factory’s tree-lined allee was filled in during the 1930’s (the blue area on the map) and many of the outlying buildings have been swallowed up by later development. Even so, wandering around the grounds gives a good idea of a comprehensive factory complex from this time period. A combination of walls and blank building walls surrounds the compound, giving the complex an insular feeling. A combination of buildings and walls enclose the perimeter of the complex. I am not sure if the goal was to keep outsiders away or to keep workers in, and a map from 1845 shows that the factory was surrounded by farms but no wall. Perhaps the wall existed back then, too, or perhaps it was added as urban development reached the area. 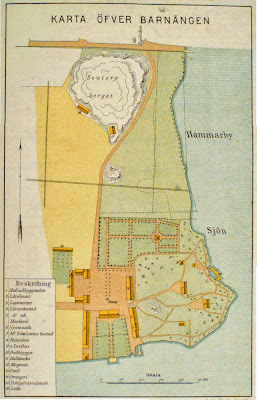 1845 map of the complex. 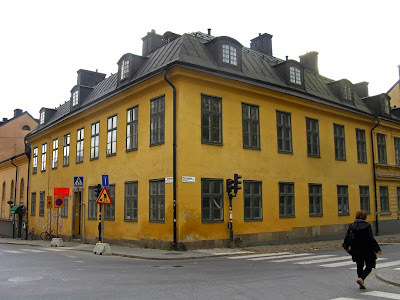 Barnängen consisted of a head office, the owner’s house, a storage building, a dying building, a weaving building, a cutting building, an ironing building, and drying chambers. There was also a sick cabin, barrack housing, a clock tower, a chapel, a horse barn, a carriage house, an entry gate, and a guard house. The buildings are organized in a formal manner around a large formal garden that had an orangerie, a gazebo, arbors, and allees. One allee leads from the head office down to the bay. Barnängen had a contract to produce clothing for 14 army regiments, but there was so much overstock that the factory also exported extensively. Throughout most of the 1700’s, Barnängen was Stockholm’s largest workplace and the factory had 808 workers in 1762. However, as Mercantilism waned, so did the factory, and it went into bankruptcy at the end of the century. For the 100 years, the grounds changed hands as enterprise after enterprise (mostly fabric fabrication of various stripes but also a boarding school) proved unprofitable. Today some of the buildings are used for a psychological education institute while the worker’s barracks are still housing. A building from the 1700's on the right and a building from the 1990's on the left. They are across the street from each other, and the newer building directly mirrors the older building. 7) Brewery, production 1670’s-1916, building 1763. Architect unknown. This surviving brewery building is just one of many breweries that popped up in the 16- and 1700’s in the area around Fatburen, a lake in the center of the island that no longer exists today. Over the centuries, this brewery grew and eventually storage buildings, freezer buildings, and the like filled the entire block. Today, the building appears to be underutilized and in need of interior renovation. 8) Glazier, 1769. Architect unknown. From my research, it seems that most industrial activity on Södermalm began in one building, but over time, the companies took over more and more of the block, adding and taking over perimeter and courtyard buildings through the centuries as needed. This glazing factory is no exception. Today the building seems to be exclusive apartments. 9) Bakery , 1775. Architect unknown. I can’t find much information on this bakery except that it was built in 1775 and that it was huge. I find it interesting that the bakery is along the main road joining the island of Gamla Stan (old town) to Södermalm. I can see that this would be an excellent location to sell baked goods, but I would think that such prominent real estate would be too expensive to house such extensive baking activities. 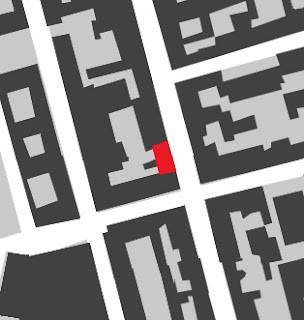 However, I have read about several industrial buildings from the 1800’s along the same street (Götgatan). The fact that industrial activity lined the main drag from the Old Town and into the interior of the island of Södermalm is further evidence that the island had a forsaken, unfashionable status. Factories certainly don’t line the main streets in swanky areas of town! Today the ground floor is occupied by a few of the clothing stores and boutiques that line the hip shopping street. Expensive apartments are above. 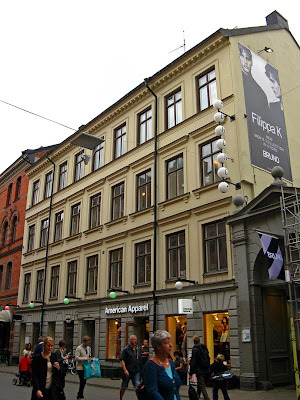 10) Öberg’s Clothing Factory, 1880’s. Architect unknown. The garden and water sides of the longer building to the east. The water and garden sides of the shorter building to the west. Two long, thin buildings sit in the middle of the steep hill leading from the water’s edge all the way up to “Maria Mountain.” Given the steep terrain, it is no wonder that this site was never redeveloped despite its remarkable view. Like many other industrial buildings from the 1700’s, these buildings are small in scale and domestic in character with their steep gambrel roofs. Given their water view, their lush, green garden setting, and the middle-of-town location, it is no wonder that these rental apartments are highly sought after. Interestingly, a large percentage of Stockholm’s industrial activity in the 1700’s occurred on the water banks. However, not a single one of the ten remaining buildings are on the water (Barnängen used to be on the water, but its bay was filled in in the 1930’s, so the complex is now a block away from the water’s edge). 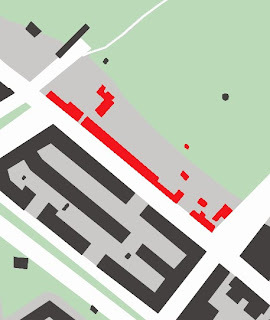 Why is there such a divide between the original and existing stock of industrial buildings? I mentioned above that Stockholm experienced an economic and population stagnation throughout the first half of the 1800’s. However, rapid industrialization occurred during the second half of the 1800’s. The pattern of water-side manufacturing became ever more ingrained with the invention of the steam engine, and industrial environments popped up on nearly all of Stockholm’s waterways by the end of the century. 18th century industrial buildings were generally replaced as 19th century manufacturing occupied Stockholm’s water banks. 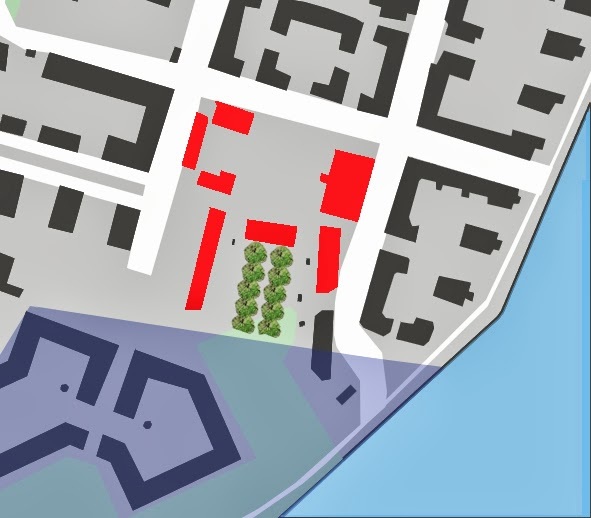 Industrial building activity in the 20th century followed the same pattern, and the visible industrial building stock along Stockholm’s waterways today stems solely from the 19th and 20th centuries. During the second half of the 20th century, much of Stockholm’s industry moved elsewhere—cheaper towns in Sweden, cheaper countries in the East… Suddenly, vast quantities of waterside real estate sat abandoned and decaying. Today, just about ever major building and planning project in greater Stockholm (Hammarby Sjöstad, Norra Djurgårdstaden, Hornsberg, Hagastaden, Kvarnholmen, Finnboda Hamn, Sickla Strand, Annedal) replace vast waterside industrial environments with urban live-work-play milieus. I would be hard pressed to find a topic with a greater influence on contemporary development in Stockholm than industrialization in the 1700’s and onward.